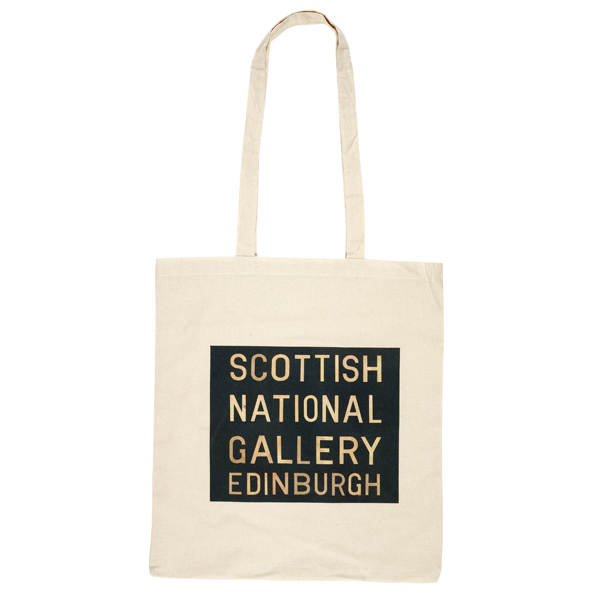 Lightweight cotton canvas tote bag featuring a Bus Blind image of the Scottish National Gallery. Perfect for your weekly shopping. Each destination has been created from an archive of original linen corporation bus blind rolls dating back from the 1920s to the 1950s. This unique and unusual typeface, originally used to display stops on trams and trolleybuses, has been carefully conserved and recreated for you. We've taken care to preserve the special feeling of the original blinds with this retro typeface which is reflected in the wear and tear over their many years in public service. Lightweight cotton canvas tote bag featuring a Bus Blind image of the Scottish National Portrait Gallery.